And, for something else a little different, I used a tall card format, the size that fits in a standard business envelope. The three graphic circles were stamped on a piece of white card stock and then adhered behind the die cut coordinating circles with dimensionals. Then I added a piece of twine with a tiny die cut tag that has the “what” sticker on it. The sentiment has been stamped on a hand cut flag. To add a little more interest, again in circles, some stickers and some Stickles. This is such a cute card…love that sentiment! 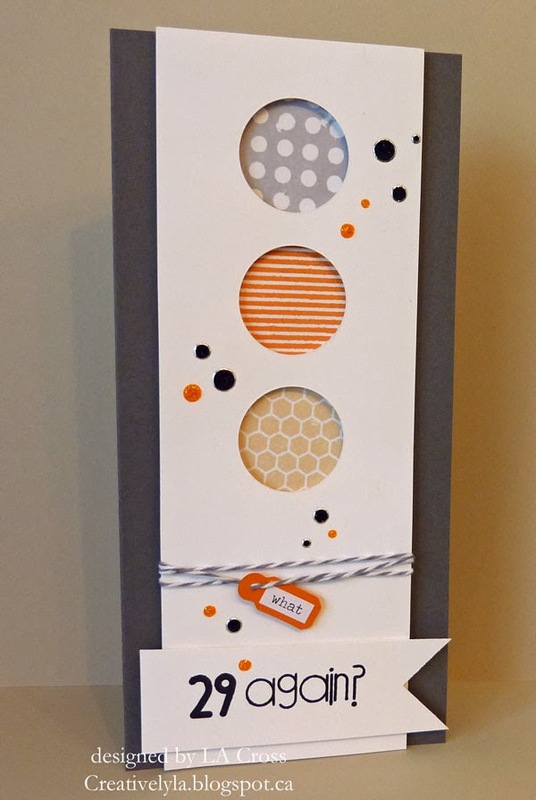 Great idea to make it a tall card, love the tiny orange tag you added to really bring out the orange from the inspiration photo. Love the patterns behind your circles Lee-Anne – the mix of colors and splatter! Thanks for playing with Fusion this week! Cool! I love your design, Lee-Anne! 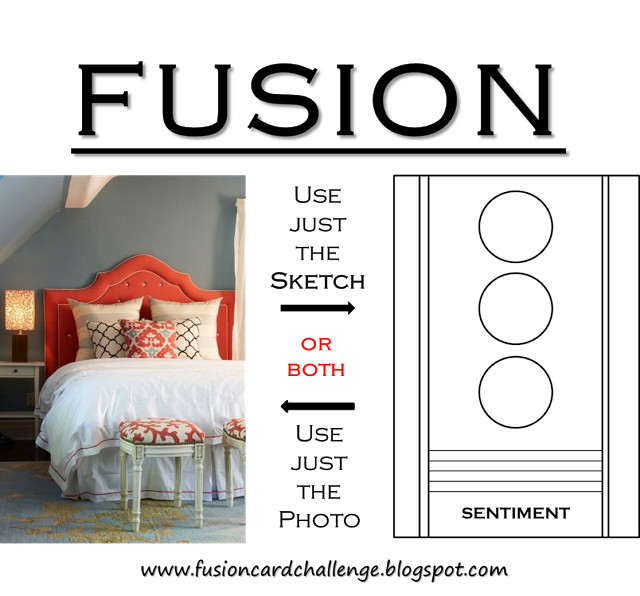 I love your use of pattern and colour. Beautiful work! Thanks for joining us at Fusion!